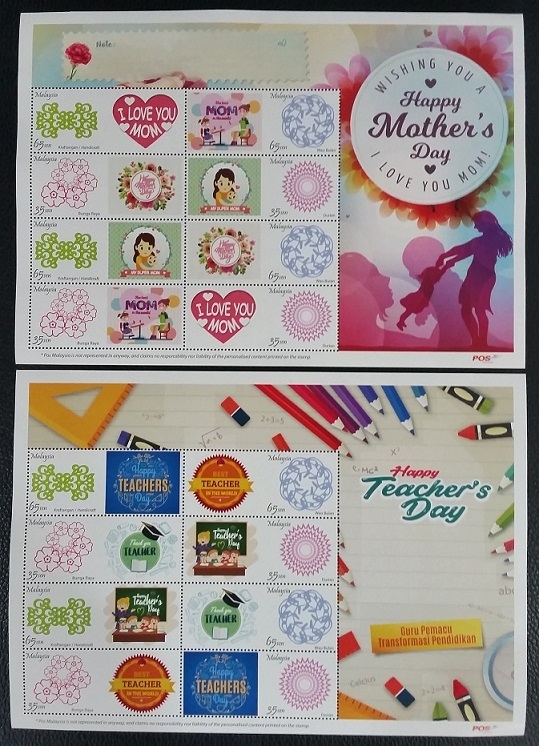 Pos Malaysia launched the Mother’s Day and Teacher’s Day Setemku (Personalised stamps) on 15 May 2018 in conjunction with the media preview of the Medicinal Plants Series 4. The Setemku sheetlet is sold at RM 20 (before GST of 6%). It is available via eziemall and in the GPO Kuala Lumpur Philatelic Bureau Headquarters.